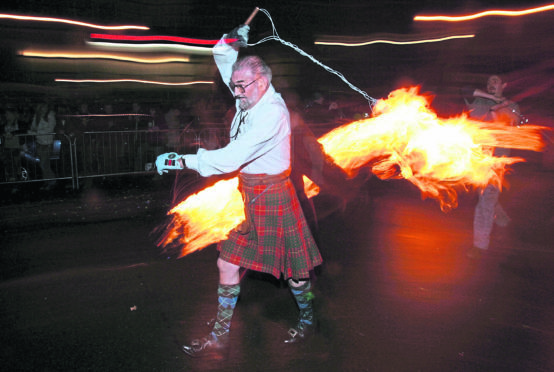 Revellers celebrate Hogmanay in Stonehaven. There’s no doubt 2018 has been a memorable year, one that looks like it’s going out with a bang, rather than a whimper. Across the north of Scotland there’s a host of special events, concerts, ceilidhs and shows taking place on Monday December 31 which will see out the old year and welcome in 2019 in style. The Highland Capital will once again play host to Scotland’s biggest and FREE Hogmanay outdoor bash, The Red Hot Highland Fling. It takes place in the Northern Meeting Park, Ardross Street, Inverness, starting at 8pm, and finishes in dramatic style just after midnight following a spectacular fireworks show which lights up the skyline above the city centre. Hosted by Scottish comedian and local favourite Craig Hill, the family-friendly show will see The Trad Project take to the stage first, followed by well-known band Blazin’ Fiddles, while Tide Lines will welcome in the New Year. Thousands of people are expected to attend the free event. A wee reminder, no alcohol can be taken in, but there’s lots of food and drink outlets within the party site. At the Ironworks, Celtic rock/traditional band Rhythmnreel will bring in the bells, supported by The Cowans, aka Sam and Davy Cowan. Caroline Campbell, venue director, said: “Our Hogmanay Bash is always one of the highlights of the year and we’re delighted that Rhythmnreel are joining us to ring in the bells, and thrilled too at the support from The Cowans. Elsewhere in Inverness, popular live music venue Hootananny on Church Street hosts a Hogmanay extravaganza from 8pm. Among the acts appearing are Ewan Robertson, Megan Henderson & Friends; Peatloaf (a Meatloaf tribute as seen on Britain’s Got Talent) plus resident DJs. Tide Lines will welcome in the New Year in Inverness. Guilty Pleasures, a very popular function band, headline the Hogmanay party at the city’s Beaufort Hotel from 9pm; Modern ceilidh band, Tweed, headline the New Year’s Weave party at the Raigmore Motel from 8pm. At Bogbain Farm, on the outskirts of Inverness, there’s a Bogmanay Ceilidh which will see Blazin’ Fiddles play their second venue of the same night. The fun here starts at 7.30pm onwards with the fiddles taking you up to the bells. At the stroke of midnight on December 31, a parade of more than 40 strong men and women begin swinging huge fireballs above their heads, before heading towards the harbour where the fireballs are thrown into the sea. The entertainment programme starts at 10pm and thousands come along, so allow plenty of time to get there. In Aberdeen the Beach Ballroom is hosting a classic Hogmanay shindig. Enjoy a traditional ceilidh on the sprung dance floor to get your evening off to a good start. Follow with a large plate of stovies before clinking a glass of fizz with your nearest and dearest to bring in the bells. The city’s Tivoli Theatre is hosting an evening of traditional Scottish music starring local musician, Graham Geddes and friends. 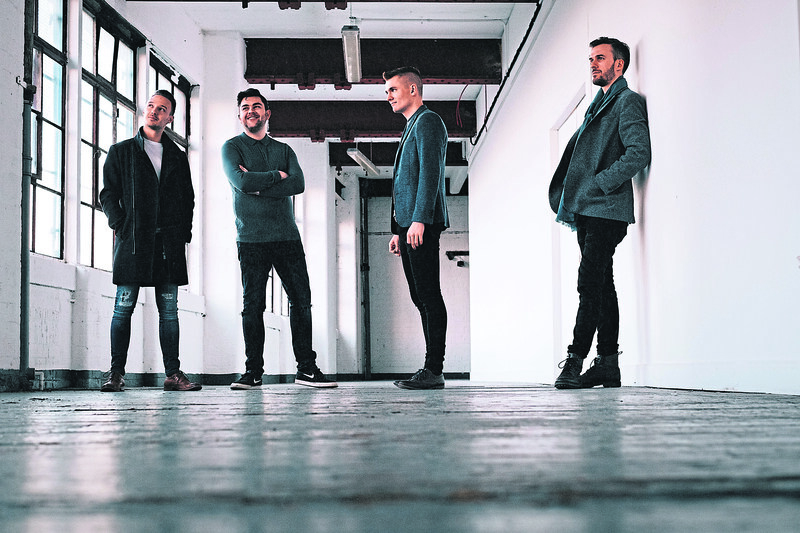 Later in the evening five-piece indie pop band Dancing on Tables will make sure revellers can let their hair down in style. However, in an exciting twist, the whole event will be broadcast live to more than 100 countries to link up with celebrations around the world. If you’re looking to ring in the new year with peals of laughter, Breakneck Comedy Club has something to tickle your funny bone. Doors open at 7pm for the Aberdeen Hogmanay event which sees four comedians performing up until the bells, as well as stovies for attendees and a DJ to take you into the wee small hours. One of the biggest Highland events takes place in Dornoch, starting at 4pm with A Moment’s Calm in Dornoch Cathedral from 4-6pm. There’s a family ceilidh at Grannie’s Heilan’ Hame from 6.30pm-10.30pm and social dancing in Dornoch Social Club from 8.30pm-10.30pm. Dornoch Castle Hotel hosts a gala dinner from 7pm and there’s a black tie Hogmanay dinner at Links House from 7.30pm. At 10.30pm, they will be dancing in the streets as the famous Dornoch Hogmanay street party in the square gets underway. Featuring Red Reel Ceilidh Band and a lone piper on the castle battlements at midnight, followed by a fireworks display. There’s a Scottish Hootenanny at the Thainstone Exchange in Inverurie featuring top ceilidh band Callanish. Tickets include a four-course meal and entertainment. Head to the Bettridge Centre in Newtonhill for a family Hogmanay celebration featuring Roadrunner Entertainment, with music and games for all the family to enjoy plus glow novelties for children, raffle and rock‘n’roll bingo. Another perk, it’s bring your own bottle, and the fun starts at 7.30pm. There’s fun for all the family at Balmoor Stadium in Peterhead with a kids’ disco from 6pm along with face painting and party games. At 9pm the adult evening kicks off and you can really let your hair down as the kids will be monitored in the supervised crèche and junior cinema until 1am. Dufftown is known as the malt whisky capital of the world and while most of its Hogmanay celebrations are much the same as you would find in small towns up and down the country, it has its own special twist. Just before midnight, folk gather in The Square where drams of whisky and pieces of shortbread are handed out to help see in the bells, courtesy of Glenfiddich distillery and Walkers biscuit factory. Inchberry Hall at Orton near Fochabers hosts a party night featuring ceilidh band, A ‘Cluich. Doors open at 8.30pm and following the ceilidh there’s a fireworks display and bonfire in the adjacent amenity field. In the village hall, Ardgay, there’s a Hogmanay party with acts including Nyal and Heisk who blend folk and modern music beautifully. Doors open at 10pm. It’s a similar story in Ullapool where the village hall is hosting a Hogmanay ceilidh with Drams Ceilidh Band. Last but by no means least, one of the highlights of the year for locals and visitors alike is the Grantown on Spey Hogmanay party in the Square. Music is by Ceilidh Band Smuid and Orcadian fiddler Maggie Adamson and a guitarist. Entertainment, including music, dancing, haggis and mulled wine from 11pm onwards. Many venues in Oban and Lorn will be offering a range of entertainment and most pubs will have a late licence until 3am. Oban’s biggest party takes place at The View with traditional Scottish ceilidh music from local five-piece band Ceol an Aire. At The Barn Bar in Lerags Glen, Angus Smith & North 56 bring Oban’s finest Celtic rock to the glen, complete with fizz and fireworks. Alternatively join Ceilidh’s Homet at the Argyllshire Gathering Halls on December 31 for the Oban family Hogmanay featuring Ryan McGynn, Paula Maclean and Jamie MacLafferty. The fun starts at 9pm.